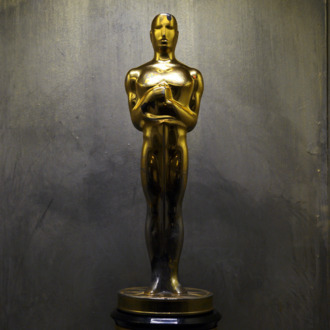 This year’s Oscar nominees will still be divulged on Tuesday, January 24, as previously announced. However, according to The Hollywood Reporter, presenters like Jennifer Hudson, Brie Larson, Emmanuel Lubezki, Jason Reitman, and Ken Watanabe won’t be reading off the names of the lucky few in front of an eager, squirming crowd of journalists and PR people at Beverly Hills’ Samuel Goldwyn Theater as tradition would dictate. Instead, they will be reading the contenders’ names into the electronic ether, or, more likely, into a room filled with a bunch of empty chairs and a camera guy or two. This year the Academy and its president, Cheryl Boone Isaacs, have chosen to produce their own “in-house announcement presentation” with no audience present. The presentation will be broadcast on a livestream starting at 8:18 a.m. EST on Oscar.com, Oscars.org, the Academy’s digital platforms, ABC’s Good Morning America, and others via a satellite feed. Looks like your plans to sneak into the announcements and scream, “Nine Lives starring Kevin Spacey was robbed!” just got a little more difficult to pull off. Good luck.